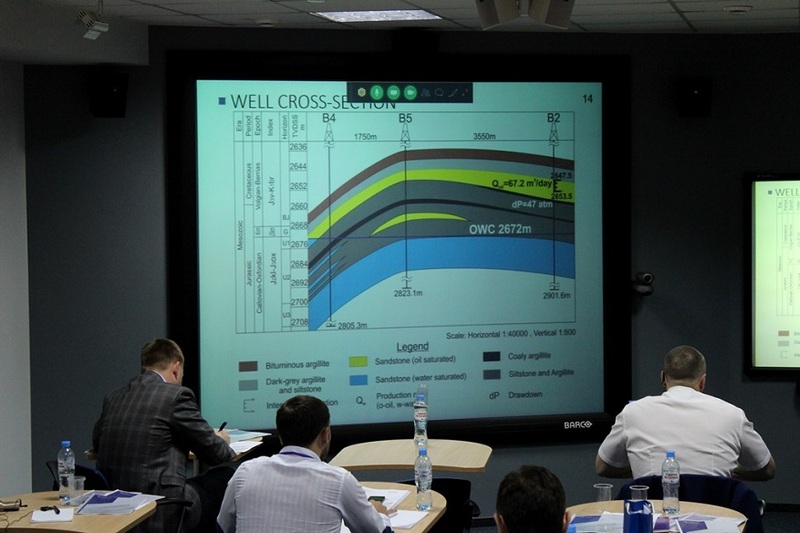 Graduate students from the DD master program jointly run by Tomsk Polytechnic University and Heriot-Watt University (UK) defended their group research projects devoted to oil production. This is one of the final examinations for the program’s graduates. 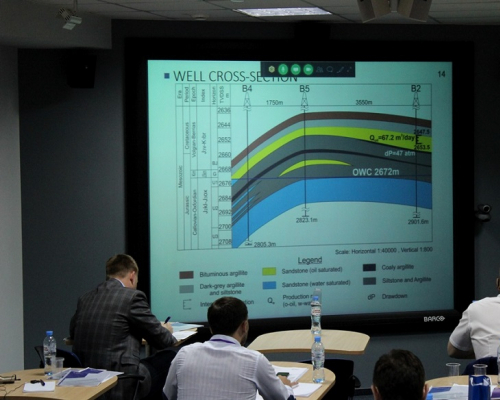 The projects were presented in English and evaluated by experts from TPU Petroleum Learning Center, British professors, and representatives of petroleum companies. Traditionally, students of the master program carry out a project work which differs from standard examinations in other Russian universities. According to the pursued program the students teamed up and fulfilled a Field Development Project or a Field Evaluation Project, which includes field geology, field evaluation, and recommendations on further study of the oil and gas reservoir. The projects have been prepared for about two months. In the beginning, a group of five-six people identified its leader upon a team building activity. In a professional environment, a lead specialist, a lead engineer or a project supervisor play a similar role. Thus, the students with manager duties had to demonstrate not only their subject knowledge but also the so-called soft skills: social skills, objectivity, consistency and stability of leader’s decisions. After team building activity each group received a set of actual field data on one of the fields in Western Siberia: structural maps, loggings of six-eight wells, test data and hydrodynamic studies, fluid properties, access to core and its analysis results, and economic parameters. To properly organize the project, the teams had to consider the issues of designing a geological model, assessing the reserves of the field, designing a hydrodynamic model, optimizing the development system. They also had to elaborate a drilling plan, make technical decisions on well equipment, conduct economic calculations, analyze ambiguities and, of course, consider the environmental issues. 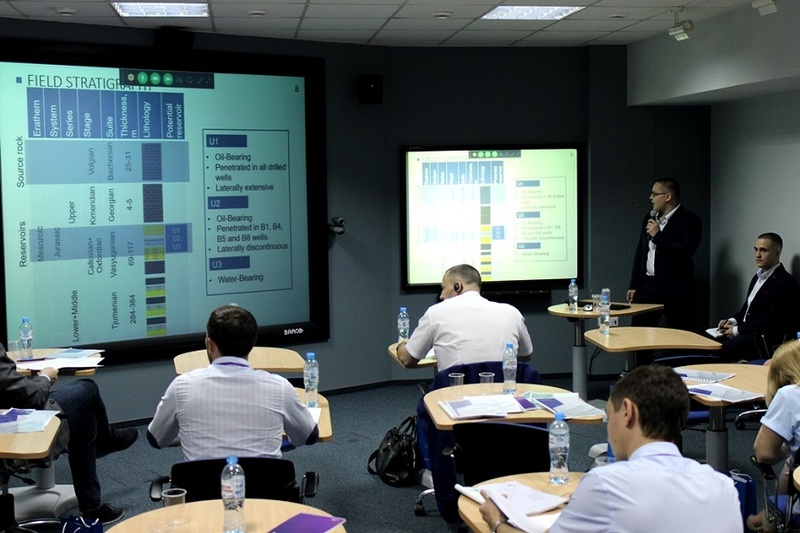 The defense of the projects is done in English and assessed by the commission consisting of the administration of the TPU Petroleum Learning Center and British professors, as well as representatives of petroleum companies such as OAO Tomskneft VNK, OOO Tymen Petroleum Scientific Center, OOO SamaraNIPIneft, OOO Altair, PAO Tatneft, OOO Gazpromneft-Vostok, OOO RN-SakhalinNIPImorneft, and OOO Gazpromneft STC. As noted by the TPU Petroleum Learning Center, these meetings with experts are becoming the ‘lucky tickets’ in the professional life of many graduate students. After the defense the companies interview the students and conclude labor contracts. It is noteworthy that after the group project defense the master students will submit an individual project and a final qualification work in accordance with the Russian master curriculum.